Matt proposed on June 12, 2016 during a trip to Hawaii with my family. I chose which hike we were going to do that morning – the Diamond Head Crater trail – and after about a 45 min hike to the top of the crater’s summit, Matt popped the question! I had no clue – and was so excited to say “yes”! About a month after our proposal, Matt, myself, and our two dogs moved across the country to San Diego, California. 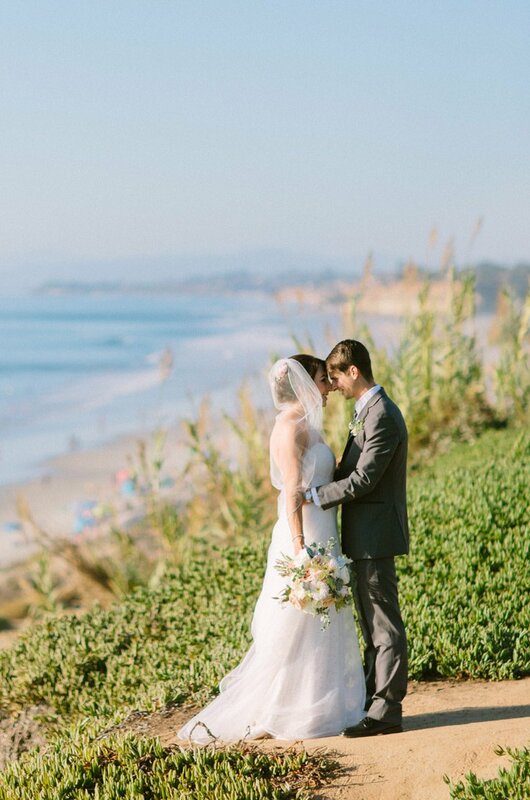 It was a big move for us, and once we arrived, we knew that we wanted to have our wedding in California. We jumped into wedding planning soon after, and I began the dress search with my mom and two sisters. 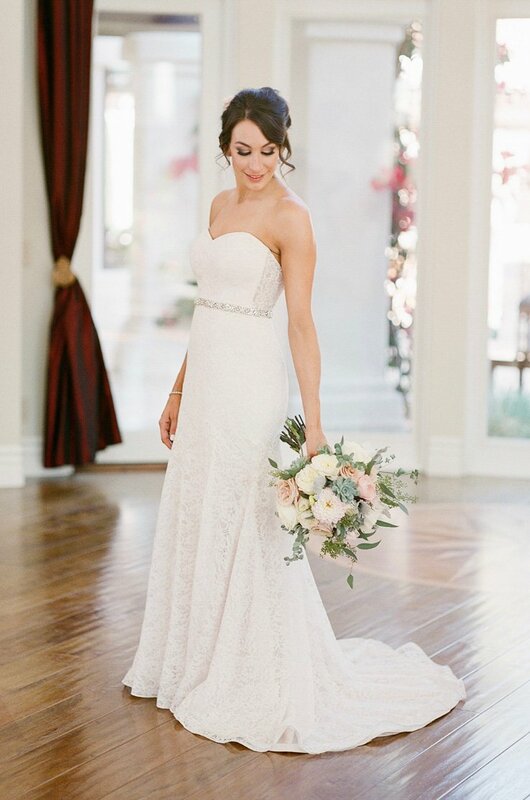 After trying on dozens of dresses, I finally fell in love with the quality and elegance of Mikaella Bridal, in particular the signature lace. My dress was everything I dreamed of and more. 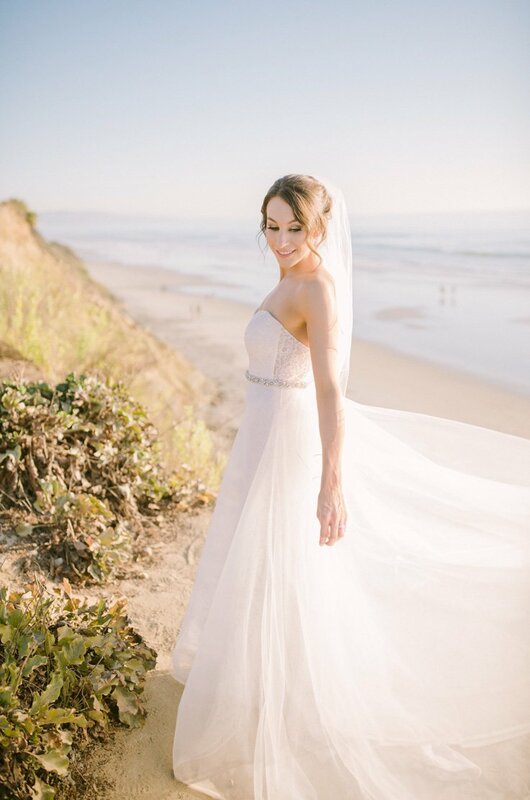 I especially loved the versatility of the dress – the removable tulle overlay was perfect for the ceremony and the beach and was a nice surprise for Matt, who did not see the dress with the overlay until the ceremony! 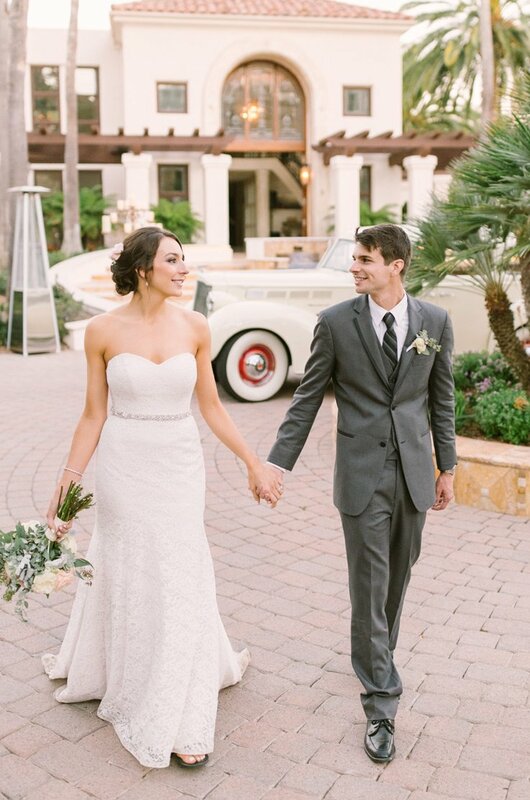 It added a whimsical touch to my style that day that I absolutely loved, and I know I will cherish the dress for years to come. 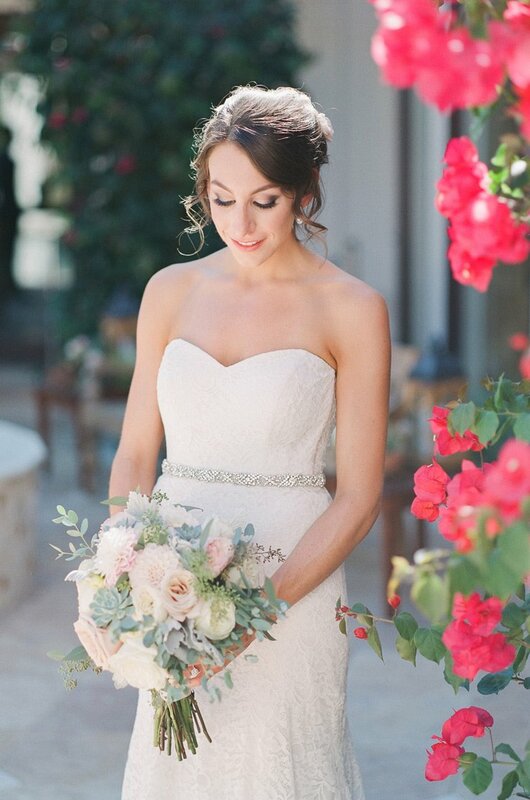 Thank you Mikaella Bridal for being a part of our day!